Part of the 'Penguin Active Reading' series, this book provides a range of integrated activities designed to develop reading skills and consolidate vocabulary, and offers personalised project work. 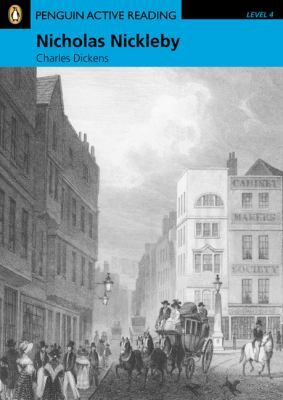 include Oliver Twist, David Copperfield, Bleak House, Great Expectations, Little Dorrit, A Christmas Carol, and A Tale of Two Cities. Dickens married Catherine Hogarth in 1836, and the couple had nine children before separating in 1858 when he began a long affair with Ellen Ternan, a young actress. Despite the scandal, Dickens remained a public figure, appearing often to read his fiction. He died in 1870, leaving his final novel, The Mystery of Edwin Drood, unfinished.